A true survivor. 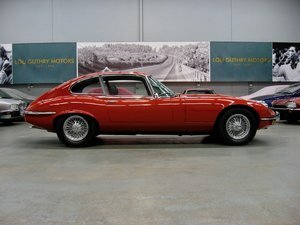 This is an exceptionally unusual and deeply original E-Type Fixedhead Coupe in its original shade of Damask Red with contrasting light interior, boasting matching chassis and engine numbers and having had just three owners from new, the first from 1963 to 1965, the second from 1965 to 2004 and the third to this day…. 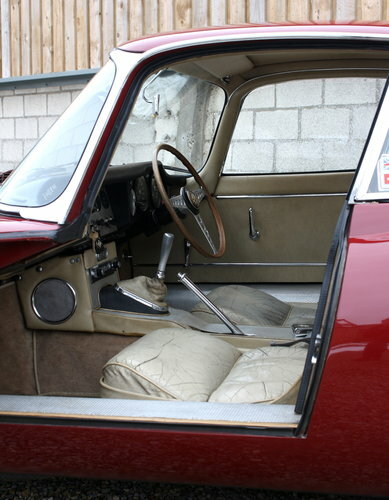 Not only is this remarkable in itself, but further compelling is that the second and third keepers are good friends, and that even after change of ownership, ‘AAW 907A’ remained in the mechanical care of the second owner, one Mike Barker, himself a talented engineer. 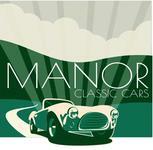 During his career, Mike was to become the Managing Partner of the Midland Motor Museum in Bridgnorth where this car often lived, disguised as ‘MB 250’ as it wore throughout Mike’s ownership from 1965 to 2004. 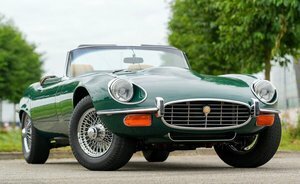 Mike sold his beloved E-Type to Martyn Griffiths, long-time friend and himself a successful motor racer, securing the British Hill Climb Championship on no fewer than five occasions piloting both March and Pilbeam. 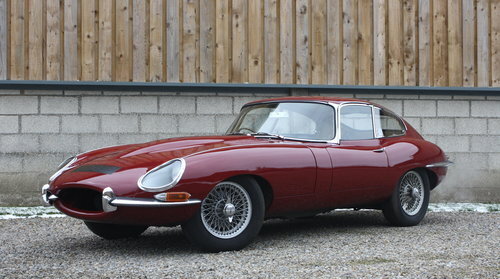 Martyn chose to place his personal registration, ‘WAG 939’ on this E-Type during his custodianship. 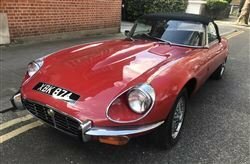 There are simply too many invoices, cuttings, research and literature accompanying this car to do it justice here, but rest-assured, those minded to come and see for themselves will be rewarded with a literal Bible documenting every small (and sometimes not so small!) thing that’s been done to this car since 1965. 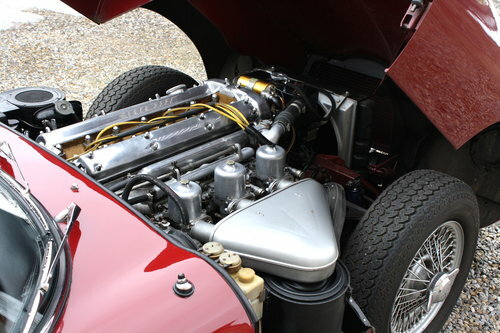 As an indication, in the last handful of years alone more than £12,000 has been invested, including major works for extra peace of mind to the next custodian; examples include the complete removal and rebuild of the rear axle, with all new parts, slave cylinders, seals, mountings, brackets, discs, shocks, springs, callipers, and roll-bar bushes, and then shortly after, the front suspension was also stripped and rebuilt. None of this work was strictly necessary, simply prevention rather than cure as is the approach of the current keeper. In late 2017, the original seats were also restored (we know…truly) but it has been done so sympathetically, from the inside of the seat squabs, that they’re now prevented from ripping, tearing or cracking beyond use but have remained charmingly patinated. 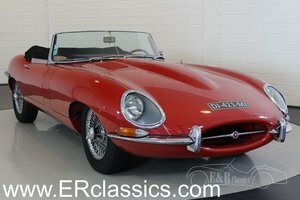 Our car also boasts an Arbarth-type exhaust system which has been a feature of this E-Type from 1965, but replaced at great skill and expense in 1985 by Nickerson Sterling Exhausts as Abarth systems were no longer available. 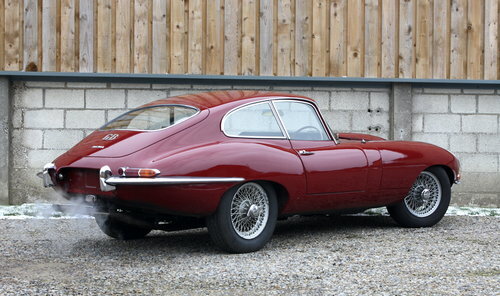 The opportunity to purchase an unmolested and profoundly original 1965 ‘E’ such as ours is fast becoming impossible. 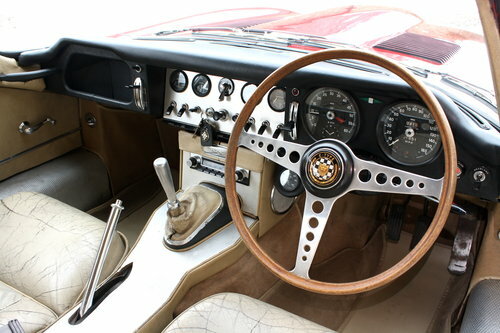 Whilst what we see is a car which has been made one of the family, has been campaigned, cherished, driven-hard but never neglected, we accept that the condition today may not appeal to all tastes, however, to the veteran petrolhead, car’s like this are gold….